3u Tool Tutorial How to Delete iOS 10.2 Yalu Jailbreak & Cydia Without Restoring Using OSRestoreX? 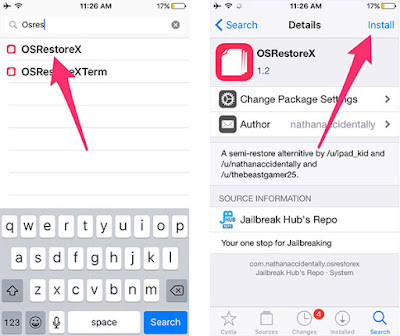 How to Delete iOS 10.2 Yalu Jailbreak & Cydia Without Restoring Using OSRestoreX? In this tutorial, we will show you how to delete the iOS 10 Yalu jailbreak and remove Cydia while staying on the same firmware version. This method will erase all the data on your jailbreak device, so make sure that you take a complete backup using 3uTools or iCloud. If you have App Admin installed, then remove it first. If you already have Stashing installed from another repo, then remove it andinstall the one from Coolstar’s repo, which is mentioned in the guide below. Step 4: Now go the Search tab and search for ‘Stashing for iOS 9.2 – 10.2.' Open this package and tap on the Install button to install it on your iDevice. Step 5: After the above package has been installed, go back to the Search tab and search for OSRestoreX. Tap on it to open and then press the Install button. Once the installation begins, it also begins to remove the jailbreak. Step 6: After the installation finishes, Cydia will close and you’ll be returned to the Home screen. Go to Settings > General, scroll to the bottom and tap on Reset. 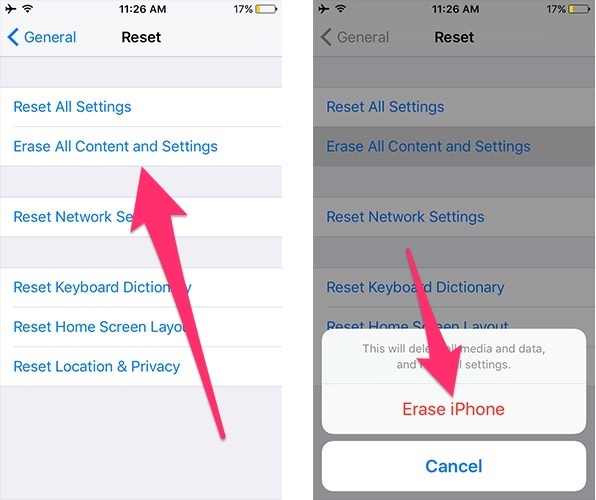 Step 7: Tap on the‘Erase All Content and Settings’button and confirm to proceed. The Apple boot logo screen is displayed with a progress bar that shows the reset progress. Step 8: Once all the data have been erased, your iDevice will reboot and a white welcome screen will be displayed where you can perform the initial setup and restore from a backup or start afresh. Congrats! You have successfully removed the iOS 10 jailbreak from your iPhone or iPad along with Cydia and all the installed jailbreak tweaks while remaining on the same iOS firmware.